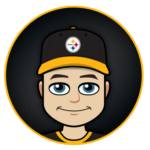 MyBookie's NFL betting line has the Steelers -8, with a 48.5 over/under. This week’s game will mark the 132nd regular-season meeting between Pittsburgh and Cleveland... the Steelers own a 14.5-game advantage in the regular-season series against the Browns (72-58-1)... Sunday's game will be the 66th time the two teams will meet in Pittsburgh where the Steelers have won 23 of the previous 25 games... the Steelers and Browns have met 17 times at Heinz Field, where Pittsburgh owns a 16-1 record against Cleveland... the two teams have met 43 times in the month of October (Browns lead, 28-15). 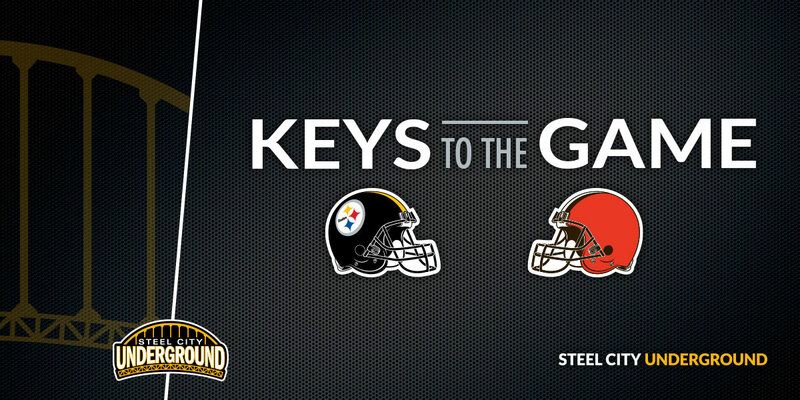 Site: einz Field (68,400) • Pittsburgh, Pa.
QB BEN ROETHLISBERGER passed for 335 yards in last meeting. Is 12-1-1 in his past 14 starts vs. Cle. Has 95+ rating in 3 of his past 5 meetings. Aims for his 3rd home meeting in row with 350+ pass yards. Has 3+ TD passes in 2 of his past 3 at home. In his past 4 vs. division, has 1,484 pass yards (371 per game). Ranks 2nd in NFL with 338.8 pass yards per game avg. RB JAMES CONNER rushed for 135 yards with 2 TDs & had 57 rec. yards in last meeting. Has 314 scrimmage yards (157 per game) & 4 rush TDs in his past 2. Has 125+ scrimmage yards in 3 games this season, tied for 2nd-most in NFL. WR ANTONIO BROWN had 9 catches for 93 yards & TD in last meeting. Aims for his 3rd in row with 100+ rec. yards & 5th in row with rec. TD. Has 63 catches (9 per game) for 911 yards (130.1 per game) & 5 TDs in his past 7 vs. Cle. WR JU JU SMITH-SCHUSTER had 119 rec. yards in last game vs. Cle. Aims for his 3rd meeting in row with 100+ rec. yards. 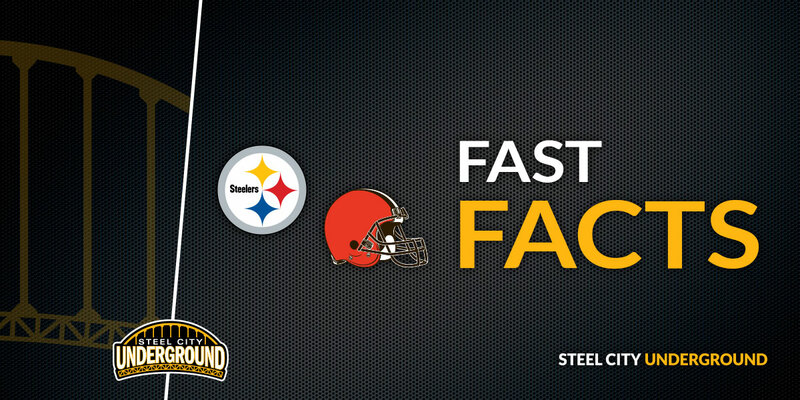 STEELERS had 7 sacks in last meeting. LB T.J. WATT had 3 sacks in last meeting. Has 24 tackles (8 per game) with 6 sacks, 8 TFL & INT in 3 career games vs. Cle. Has 5 sacks in his past 5 vs. division. LB BUD DUPREE had sack, FF & 2 PD in last meeting. Has sack & FF in 2 of his past 3 vs. Cle. Has sack in 2 of his past 3 vs. division. LB JON BOSTIC had 9 tackles & sack in last meeting. Aims for 3rd in row vs. Cle. with 9+ tackles. Has 8+ tackles in 5 of his past 6 vs. AFC North. QB BAKER MAYFIELD (rookie) threw 2 TDs vs. 0 INTs for 104.4 rating last week. Passed for 342 yards with 1 TD vs. 1 INT in only career start vs. division (10/7/18 vs. Bal.). RB NICK CHUBB (rookie) rushed for 80 yards & TD in 1st-career start last week. Leads NFL RBs with 7.4 yards per carry avg. (min. 30 att.). 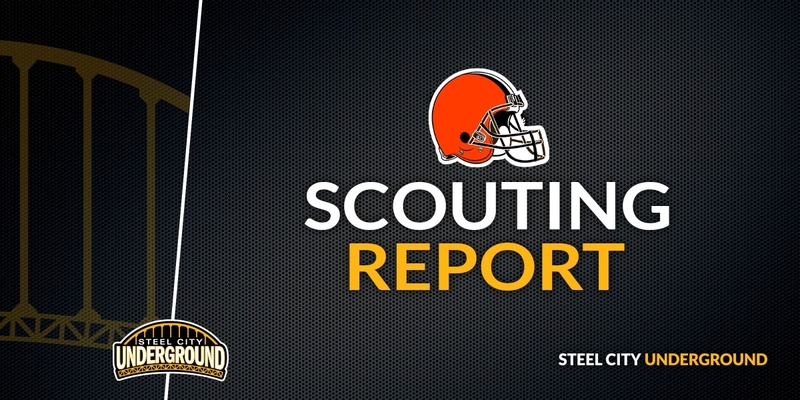 RB DUKE JOHNSON, JR. had 95 scrimmage yards (75 rec., 20 rush) & rush TD in last game at Pit. Has rush TD in 2 of his past 4 vs. division. WR JARVIS LANDRY had 10 catches for 97 yards & TD last week. Since entering league in 2014, has 8 games with 10+ catches, tied for 4th-most in the league over span. Had 7 catches for 106 yards in last meeting. Aims for his 3rd in row vs. Pit. with 90+ rec. yards. Has 85+ rec. yards in 3 of his past 5 vs. AFC North. TE DAVID NJOKU had TD catch last week. Aims for his 3rd in row with 50+ rec. yards & TD catch. DE MYLES GARRETT had 2 sacks & FF last week. Has 3 games with 2+ sacks this season, most in NFL. Had 6 tackles, 2 sacks & 2 FFs in last meeting. Aims for his 3rd in row vs. Pit. with sack & FF. Rookie CB DENZEL WARD had 2 INTs in last meeting, his NFL debut. CB DAMARIOUS RANDALL had INT in last game vs. Pit. Aims for his 3rd meeting in row with INT & 2 PD. DE EMMANUEL OGBAH had 1.5 sacks & 2 PD in Week 7. DT LARRY OGUNJOBI had sack in last meeting. LB JAMIE COLLINS, SR. had INT & TFL last week. Had 10 tackles in his last game at Pit. (1/1/17). Rookie LB GENARD AVERY had sack & FF in last game vs. Pit.